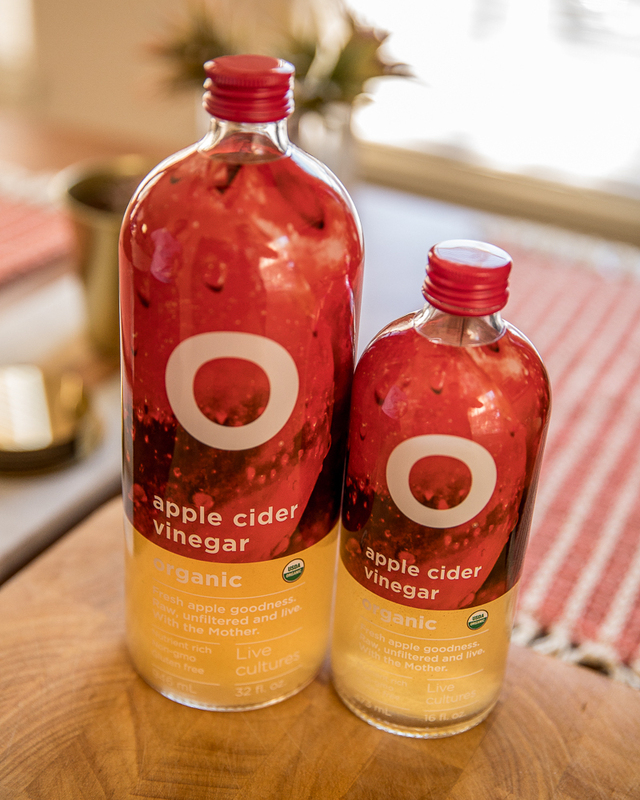 I only heard about the health benefits of apple cider vinegar recently so I was super excited to partner up with O Organic Apple Cider Vinegar for this post. We have officially entered cold and flu season so it’s time we all stay healthy to avoid any sort of sickness. O Organic Apple Cider Vinegar is what I’m drinking daily to keep me healthy this season and every day moving forward. 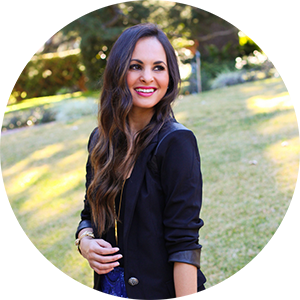 Now I want to let you about the actual product, all of the ingredients, the benefits and how I take it on a daily basis. 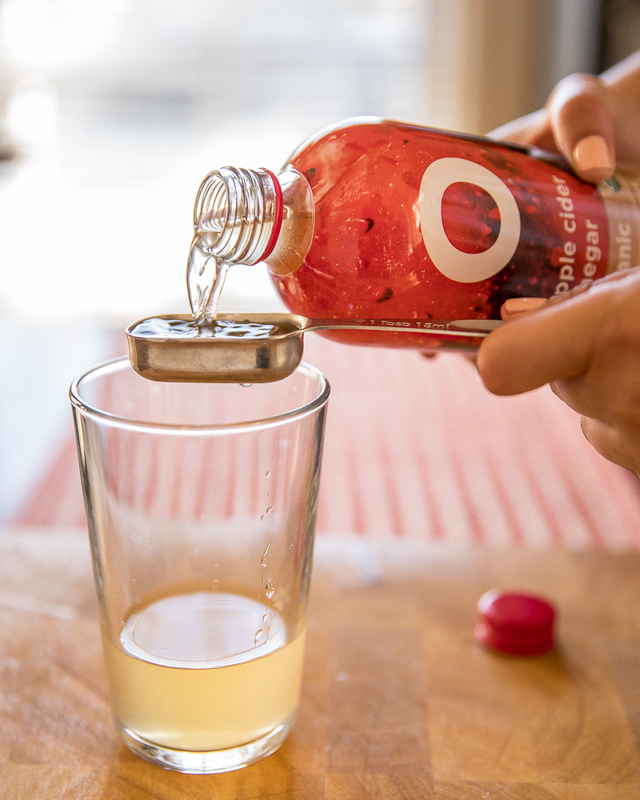 Ingredients: With no artificial flavors or preservatives, O Organic Apple Cider Vinegar is raw, live, unfiltered and with “the Mother” (the strands of proteins, enzymes and friendly bacteria that give it a desired murky appearance). 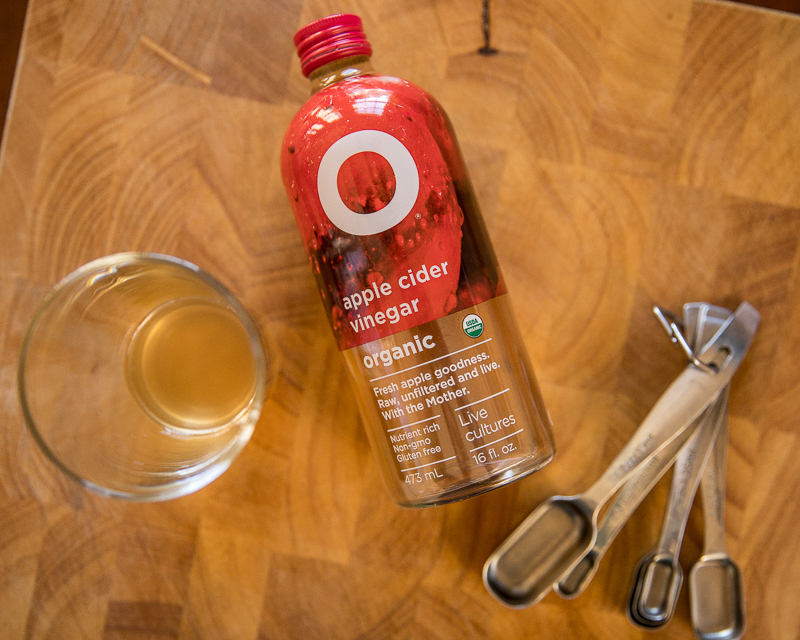 Carefully fermented in California’s Sonoma Valley one batch at a time, O Organic Apple Cider Vinegar is full of bright, fresh flavor and organic goodness without a harsh aftertaste. It’s naturally delicious with 100% clean label. Benefits: Research suggests that apple cider vinegar helps to promote weight maintenance, blood sugar regulation and heart health, and unfiltered varieties like O Organic Apple Cider Vinegar contain the added benefit of gut-friendly bacteria. This is why this product is my go-to over any other apple cider vinegar product in the market. How I use it: A shot of apple cider vinegar each day can help improve overall wellness so that’s how I’ve been taking it every day. Some mornings I will take just a quick shot before I start my day with water, ice, and apple juice mixed in. Not only has it kept me healthy but I feel overall better, more energized and it’s been an amazing digestive aid. I’ve also tried adding it to different meals as a dressing for my salads or over vegetables since. I’ve always preferred vinaigrette dressings over the creamier dressings. O Organic Apple Cider Vinegar definitely adds a distinct taste that makes my food more flavorful! If you’ve tried this product before in any other recipes, I would love if you could share them with me so I can try it with my next meal. O Organic Apple Cider Vinegar is available in select grocery stores and online at www.ooliveoil.com, in 32-ounce and 16-ounce bottles. Visit https://www.ooliveoil.com/for additional information, including product nutritional content and ingredients. The Universal Post is creating and curating stories, research to take you to the real facts , truth behind every step, every statement given by so called - Pseudo Intellectuals who think India is intolerant.health benefits of apple cider vinegar Join us in our journey and we promise you to clear your thoughts and you will celebrate Independence Day every day in India. When we all introduced ourselves here. We were received warmly by all those who participated in the event. Events at Los Angeles event venues are a lot of fun, giving access to features that aren't always the easiest to get into and aren't always the most wallet friendly. Thank you for sharing the nice tips.